Maine Audubon is proud to introduce you to our new series on wildlife photography Through the Lens with Nick Leadley. 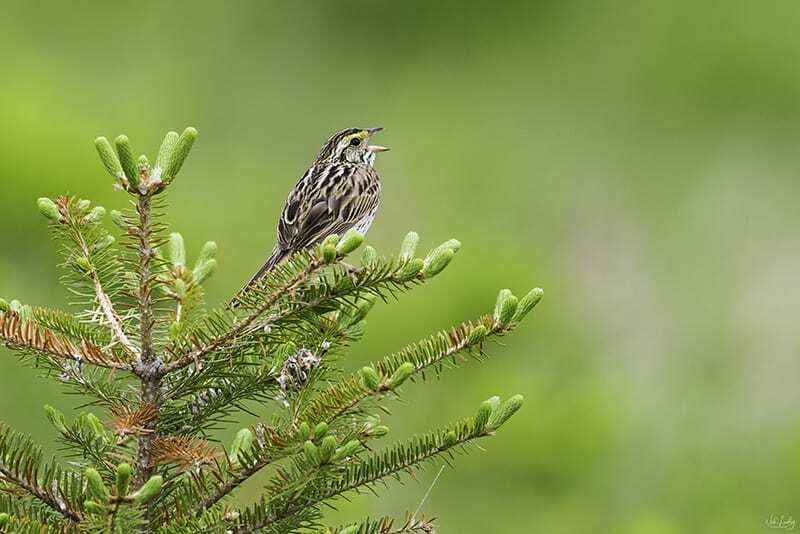 Each month Nick, a professional wildlife photographer and Maine Guide, will write about a different aspect of wildlife photography to help you improve your skills and capture the best images of birds. Enjoy! In the coming months I will be writing pieces focused on nature and wildlife photography for Maine Audubon’s online naturalist community. Before I jump headlong into that subject allow me to introduce myself. My name is Nick Leadley. I am a professional nature and wildlife photographer and Registered Maine Guide from Rangeley. For over 15 years I have been working in this wonderful line of work and honestly cannot see myself doing anything else for a living. During my career I have traveled widely throughout the United States along with trips to Ecuador, Ireland, Scotland, Wales and England, the Arctic and Africa…all for the purpose of nature and wildlife photography. I come by my interest in photography inherently. My grandfather Jerome Leadley, whom I never met, was a talented amateur photographer in his own right. Now that you know who I am, let’s travel into the wild world of nature and wildlife photography. One question I hear a lot is what makes one nature or wildlife photograph better than another. There are several answers; the intent of the photographer, the quality of the light, does the photograph capture the subject at its most interesting or in a moment of peak action. These are all things to consider in your own work. The natural world is never static. It is always moving and changing. A truly thinking photographer always needs to be aware of this and at times do the same. This means noting differences in the direction and softness of light, changes in bird or animal behavior or that a simple movement of camera position results in a stronger photograph. These are all among the subjects related to nature and wildlife photography I hope to cover in the coming articles. If there are any topics you would like me to touch on, please do not hesitate to let me know. You can reach me through my website at www.touchthewildphotos.com. Nick is a cool guy! I know him from his hometown of Rangeley. Looking forward to more of his “Through the Lens” series .